The grace and beauty of the traditional dance of Spain. I visited Spain when I was a University student, and I loved every minute of it. The landscape, the architecture, the people, the culture. 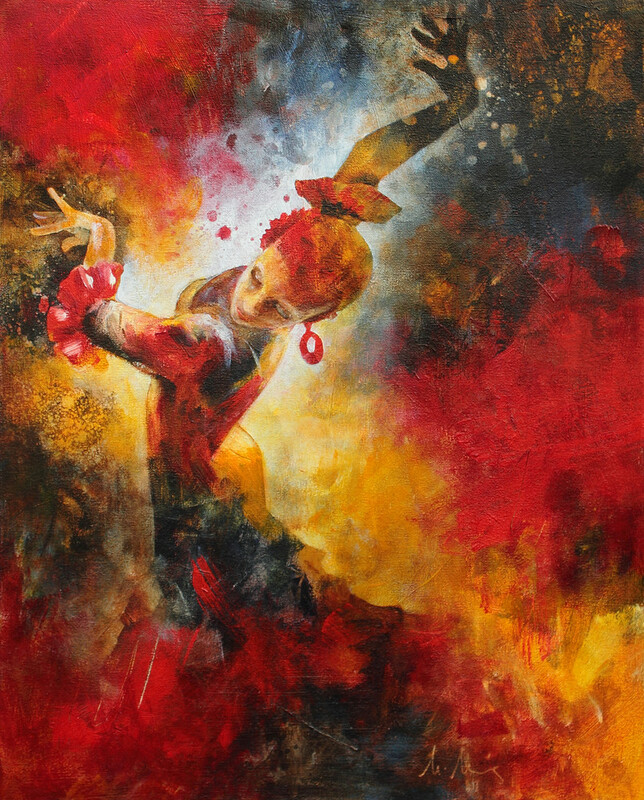 I was particularly enamoured by the Flamenco dancers, and when I started painting dancers I knew this had to be part of the series. The red dress is traditional, and is symbolic of the passion of the Spanish people.